There are hundreds of models of mobile phone on the market, and knowing which exact one is going to be right for you can be tough. But knowing some basic preferences does make your decision a little easier. If you’re in the market for a keyboard phone, then you’ve already narrowed down your choices. And a keyboard phone can be a great choice for certain kinds of customers. What exactly should you be looking for? That’s what we’re here to tell you, and we’ve even got some awesome model recommendations as well! What Do I Need to Think About Before Buying? What Features Should I Be Looking For? For a while back in the early 2000s, a keyboard phone was the gold standard. 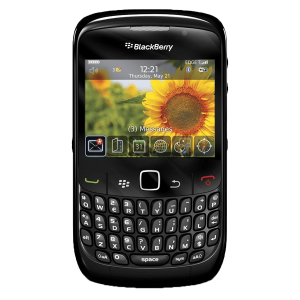 A mobile that has a small screen and a full QWERTY keyboard was the best that you could get on the mobile market (particularly Blackberrys). But then touchscreen phones came along, and keyboard phones went out of fashion. However, there are still keyboard models to choose from, and there are some benefits to having one. If you frequently text, use instant messaging, write long emails, or edit documents from your mobile, then having a full keyboard can be more than a convenience, it’s essential. And some people simply prefer having a physical keyboard as opposed to a touchscreen, particularly older users, users with poor eyesight and even business users. The good news is that there are still plenty of great options on shelves to choose from. A candy bar phone is the basic form of mobile, a slim rectangle that looks kind of like a bar of chocolate. 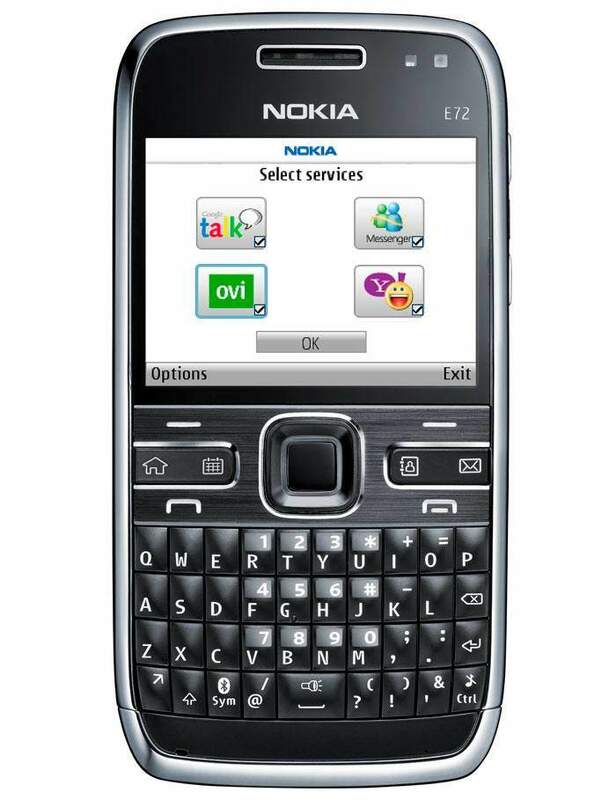 The screen goes on top, and the full QWERTY keyboard goes below. Simple. This kind of phone is easy to grab and use, easy to carry around and is by far the most popular of choices. But those screens can be kind of small, which could be a turn off for some shoppers. Pros: Easy to use, easy to carry around, and easy to buy. 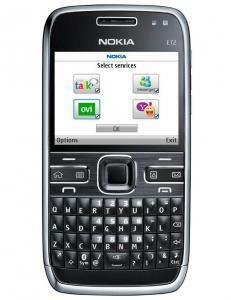 Since this is the most popular variety of keyboard phone there are still quite a few choices around. Cons: Screen sizes can get pretty small, so you’ll need to watch out for that. But other than that, there’s no big down side to a candy bar keyboard phone. Best For: To be honest, this is probably going to be the best choice for anyone looking for a keyboard phone, simply because candy bar keyboard mobiles are easier to get your hands on. The other main variant of keyboard phone is the slide phone. This is generally a large touchscreen with a full keyboard that slides out from under the screen. This kind of gives you the best of both worlds. However, there’s a big caveat here. Slide keyboard phones are almost impossible to buy in the UK (they’re still big in the US though, where keyboard phones are more popular). This lack of accessibility makes slide phones a generally bad choice. Pros: Having a large screen as well as a full keyboard means that you have the best of both worlds, a big selling point for most customers. Cons: Close to impossible to get in the UK, unless you’re willing to import or buy second hand, a slide keyboard phone could be only a pipe dream. Best For: Those willing to do the work to get their hands on one, though once bought you may find that the added screen size is a big advantage. 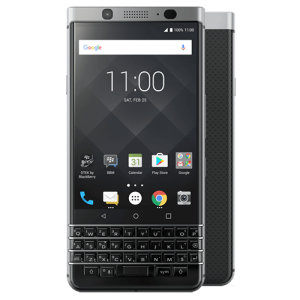 If you’re looking for the best of the best, then it should come as no surprise that the newest Blackberry is going to be your first choice. The new Key2 is a fantastic phone ready to compete with any top smartphone, and it just happens to have a full keyboard too. Screen Size: This is going to be a big deciding factor since the number of phones with a screen over around the 3-inch mark is limited. Are you willing to settle for a smaller screen to get the keyboard that you want? Or are you willing to pay more to get that larger screen? You might not need to type on the screen, but if you’re looking to read full documents or watch videos then a larger screen could be a must-have. Button Size: Now here’s a compromise. A larger screen generally means smaller key size. How small are you willing to go? Smaller keys can make typing more difficult, particularly if you’ve got larger fingers. What are you comfortable with? It could be a good idea to head to a physical store and try out a few models to find out. Overall Specs: We will get into more detail about specs in a moment, but you will need to consider where you’re willing to make sacrifices. Since there are fewer choices when it comes to keyboard phones the chances are that you’re going to need to compromise somewhere. So what’s important to you? A great camera? Lots of power? Or simply a decent keyboard? Knowing what you’re willing to sacrifice will make your decision far easier. Screen Size: As we mentioned above, screen size is important. The larger the screen, the easier it is to read. Button Size and Style: And again, button size is important, the larger keys are, the easier it is to type. 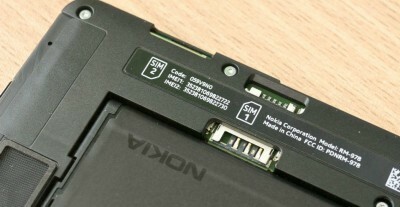 Battery Life: The good news here is that without a power intensive huge touchscreen you’re likely to get good battery life, but this is still a spec worth considering since most keyboard phones don’t come with quick charge tech or wireless charging. Sturdiness: You want a mobile that’s going to survive the test of time (and a few accidental drops), which means you want something that feels sturdy and rugged. A more fragile model is going to mean investing in a case or cover, which is added expense. Storage: Storage is important in a phone. Once the onboard memory is full, phones slow down and can even freeze. So you’ll want a decent amount of storage, or at least an SD card slot so that you can add in more storage if necessary. Simplicity and Intuitiveness: Depending on who you’re buying for, ease of use may also be a factor. Older users and children tend to need phones that are more intuitive to use and lack the patience for a steep learning curve. Those main considerations aside, there are also other things that may or may not be important to you when you’re shopping. Camera Specs: For some people, a decent camera is essential, for others a camera is just an afterthought. In general, keyboard phones don’t have the best cameras around, but you will have options, so it’s worth thinking about what you’re really looking for. Power and Performance: How much power you need really depends on what you’re looking to do with your phone. A simple phone that’s going to be used just for texting and emailing won’t need as much power as one that’s going to be used for document editing and game playing or intensive web surfing. Again, this is a question of what you need. Before we jump into those model recommendations though, first you should know how exactly we went about choosing them. There were a few things that we looked out for. We did look for models that were more recent, simply because they tend to have better specs, and are likely to be supported for a longer period of time by the manufacturer. 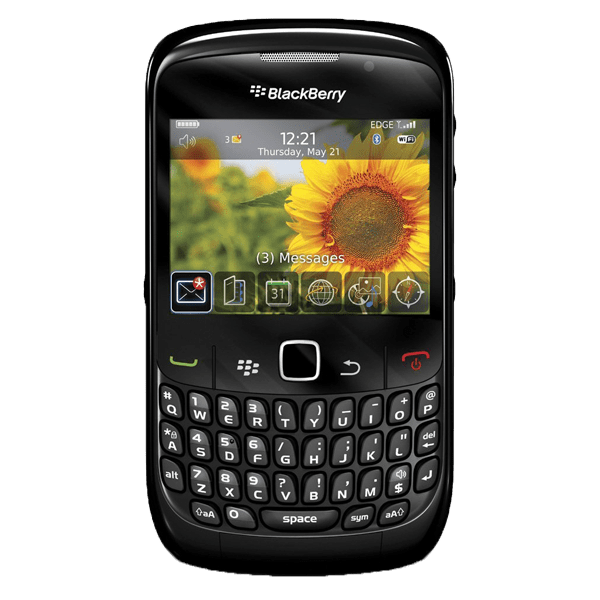 However, since choices are limited, keyboard phones tend to be supported for longer than regular smartphones do, meaning we do have several older models on our list. And, of course, we looked at prices too, since finances are always important. Obviously we looked at specs, but since every customer has different requirements we tried to balance out our recommendations so that there was something for everyone spec-wise. We looked at customers reviews and complaints, and general feedback, since knowing how satisfied others have been with a model is a good indication of how reliable it will be. And of course, we spend a lot of time around phones, the people who use them, the experts that analyse them, and mobile tech professionals, so we got plenty of feedback there too! 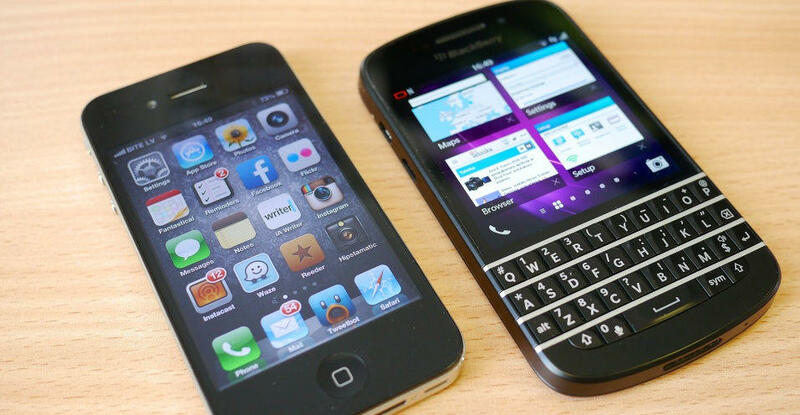 One more thing: don’t be surprised that most of the phones on our list are made by Blackberry. 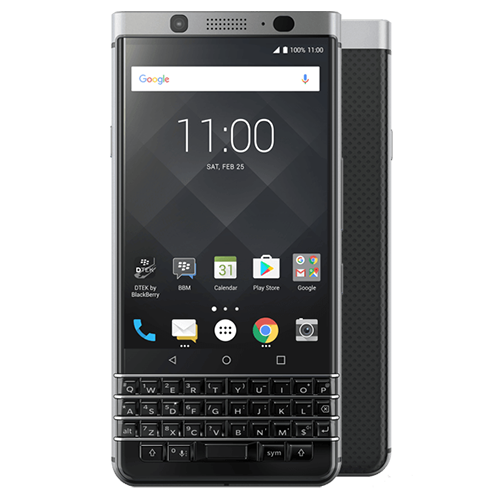 The manufacturer is certainly the major supplier of keyboard phones, meaning you don’t get much choice when it comes to make. So, without any further ado, let’s get down to those model recommendations. Which keyboard phones are worthy of your consideration? You get octo core processing power alongside a hefty 6 GB of RAM, you get a full-colour HD 4.5-inch display, you get top end dual rear cameras, and the newest Android operating system. Internally, there’s either 64 GB or 128 GB of memory, depending on which version you choose, but an SD card slot lets you add up to 256 GB of extra storage. This phone is pretty much a top end smartphone that has a keyboard, making it a great choice for those that don’t want to make any compromises. The only real downside here is going to be the price, which is a hefty £700 or so. Still, it’s cheaper than an iPhone and is by far the best choice for a keyboard phone. 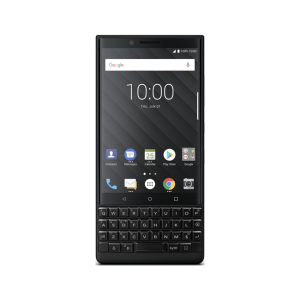 If the Blackberry Key2 is a little pricey for you, then going for its little brother, the KeyOne, might be a better bet. You still get some good specs and features that you’d expect to see on a smartphone, though you don’t get quite the high-end numbers you see on the Key2. Again, there’s octo core processing power and this time a slightly lower 3 GB or 4 GB of RAM (depending on model), a full-colour HD 4.5-inch touchscreen, a decent 12 MP rear camera and an 8 MP front cam. Internally there are two storage versions, either 32 GB or 64 GB, but both offer SD card slots to add up to 256 GB of extra storage. There are some compromises here when compared to the Key2, the cameras aren’t as good, nor the RAM, but on the whole, this is still a great phone. The price is right at around £400 or so, depending on where you shop, but those buttons are still a bit fiddly. The only slide phone to appear on our list is the only one readily available in the UK, and that’s the Blackberry Priv. If you’re looking for a big screen, then this is definitely going to be the phone for you, though you might have to compromise on a few other specs to get your hands on that display that you want. You get hexa core processing power here, alongside 3 GB of RAM, and a huge 5.4 inch Full HD colour touchscreen. And it’s that display that’s going to be the selling point for most people since it’s by far the best we’ve seen on a keyboard phone. Cameras are fine, the 18 MP rear camera is good, the 2 MP front cam a little disappointing. There’s 32 GB of internal memory, but there is an SD card slot for adding up to 256 GB of external storage. What about downsides? Well, the Priv does run an older version of Android than we’d really like (Android 5, upgradable to 6), and it’s a little pricey for an older model (still around £350 or so). But the screen is amazing, and even the keyboard is bigger and easier to use when compared to more expensive models. Moving firmly into the lower budget end of the scale, the Blackberry Q10 is a great little device that still has plenty of features, but that won’t cost you a bomb. 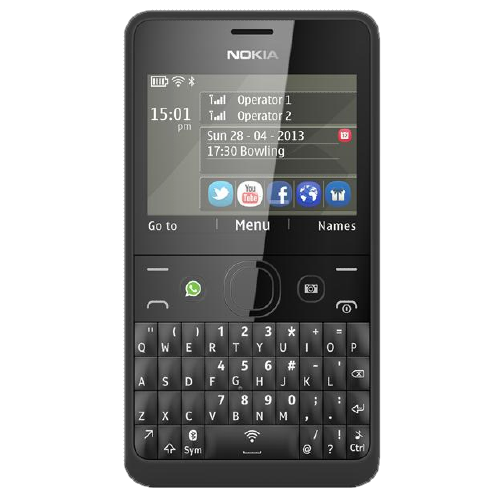 And as a plus, this is the first keyboard phone on this list that has rounded (and therefore easier to use) keys. There’s dual-core processing power here, along with 2 GB of RAM, so it’s not the fastest phone ever but is still more than capable of web browsing, emailing and more. The display is smaller at 3.1 inches and it’s not HD, but it’s still a touchscreen. The cameras are solid, 8 MP at the rear and 2 MP at the front, if not fantastic. And you get 16 GB of memory, expandable to up to 64 GB with an SD card. 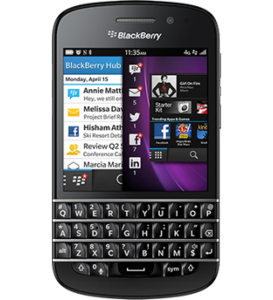 This is a Blackberry OS phone NOT an Android, which could be a deal breaker for some. Yes, there are a few compromises here, especially that smaller display and Blackberry operating system. 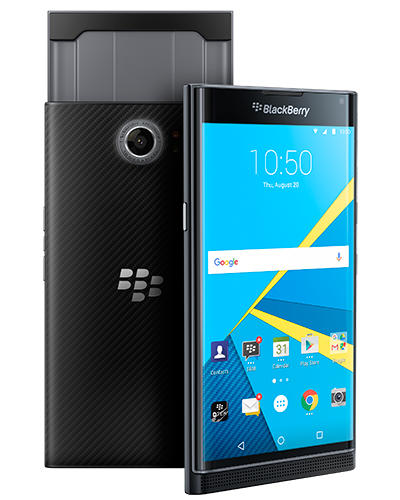 However, the Priv is a very decent phone that comes in at under £150, making it a good budget choice too. 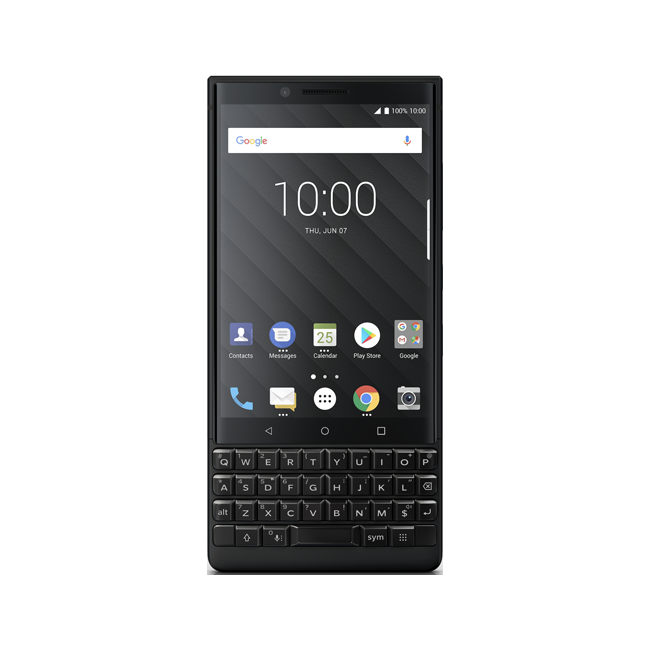 The Bold 9390 makes an awesome choice for a first-time phone, as well as a brilliant low-cost option for texting and emailing. Sure, it’s an older model, but that rounded button keyboard is super easy to use and feels great. You get single core processing (around 1 GHz) and 768 MB of RAM, so this is not a fast phone, but for texting and emailing it should be fine. The small display is a touchscreen, though not HD. There’s a simple 5 MP rear camera and no front camera. Finally, you get 8 GB of internal memory, with an SD card slot to add up to 32 GB more. All of that makes this a fairly basic smartphone, but at this price, you can’t really complain since the Bold comes in well under £100. 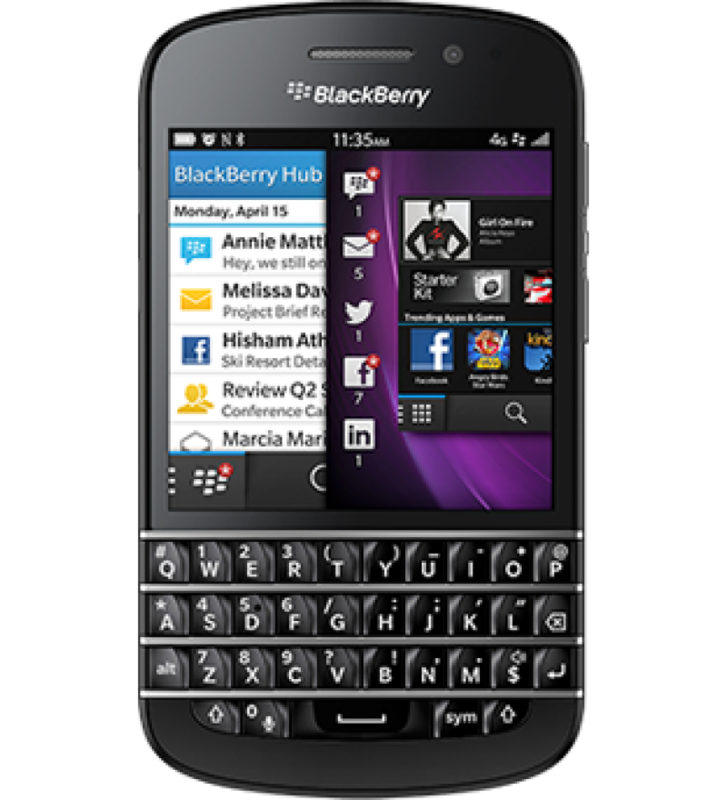 Again though, this is a Blackberry OS, not an Android phone, and those specs will be too low for those used to a regular smartphone. For an older user or a child though, the Bold is a great little mobile. We’re moving away from smartphones now, and into the dumbphone market, which has the advantage of being much cheaper. 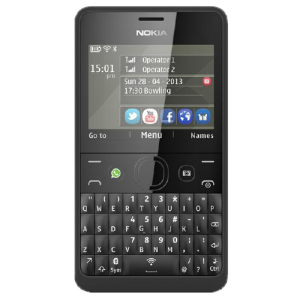 The Nokia E72 is an older model, but if you’re looking for something that has limited internet connectivity, perhaps for a child, the E72 is still going to be a good choice. There’s not a whole lot in terms of power and features here. You do get a solid 5 MP rear camera, as well as a basic front camera for selfies. There’s an MP3 player and radio, as well as a few apps like maps. Internet connectivity is basic at best, enough for sending emails and not much more, though depending on who you’re buying for this could be a good thing. On the downside, if you’re used to a smartphone then the E72 probably isn’t going to cut it for you. And it’s not an Android phone either (it runs Nokia’s old Symbian OS). But it’s cheap (around £60 or so), and that keyboard is great to the touch. The Asha 210 is a classic keyboard phone and makes an excellent first mobile for a pre-teen (mostly thanks to its jazzy colours). It’s not a real smartphone, though it does have a few nice features that stand out. The screen is a decent size for this kind of phone, and it’s nice and light too. You’ll get an MP3 player and a camera, as well as an SD card slot that lets you add up to 32 GB of memory, so storage shouldn’t be an issue. There’s even Bluetooth so you can connect headsets, speakers, and headphones. However, internet connectivity is limited, and those keys are pretty small and fiddly to use, which could be a downside if you’re buying this for an older user. Finally, we come to the cheapest and most basic phone on our list, but if you’re on a serious budget then this is going to be a great bet. 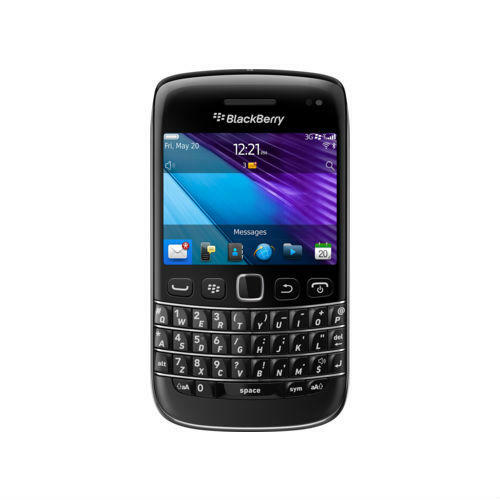 The Curve 9360 is an older Blackberry model, but at this price (less than £40) it’s a great choice for a secondary phone or for a younger child. There’s not much in the way of features. You do get limited internet connectivity, as well as a decent enough camera. Internal storage isn’t great, but there’s an SD card slot so you can add up to 32 GB of extra memory. There’s an MP3 player and radio on board too. And that keyboard is raised and curved so it’s extremely easy and comfortable to use. Again though, this isn’t a real smartphone. There’s no true web browsing, no apps like YouTube. But if you’re buying for a child, that could be a good thing. And the Curve 9360 is certainly an affordable option. Sandra writes on smartphone security, fraud and other online scams at TigerMobiles.com. She has a particular interest in smartphone safety for children with most of her time spent reviewing mobile phone security related issues and how they can be prevented from happening in the first place. The Best Budget Smartphones for 2019: Which One Should You Buy? Find cheap deals on all the latest mobile phones and save yourself some money. Compare mobile phone deals with Tiger Mobiles and find the best offers currently available. Our comparison tool is designed to you save money on your mobile phone. 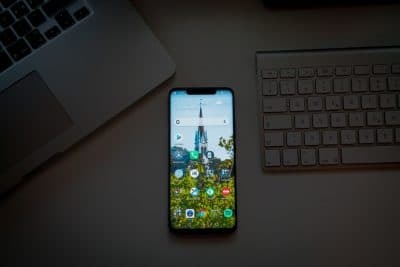 We compare deals from the leading networks and retailers in the UK helping you find the cheapest and best mobile phone deals possible. © Copyright 2008-2019 TigerMobiles.com. All Rights Reserved.